Connective Tissue Grafting: The palate contains a thick inner layer of connective tissue that can be used to improve soft tissue contours/fullness in the upper jaw, when needed. The connective tissue is surgically loosened and the vascularised pedicle repositioned to the deficient area that needs augmenting for an effective dental makeovers. Gingival Grafts: The quality of the gums may also be improved with a gingival graft that contains a keratinised layer of tissue, which is more resistant to recession and helps stabilise the soft tissue. For more information on smile makeovers in our Melbourne clinic, contact our professional staff today on (03) 8845 5400. “True aesthetics in a smile is more than just white teeth”, says Dr Alex Fibishenko who leads our team of experienced cosmetic dentists. Cosmetic dentistry in our Melbourne clinic involves procedures such as porcelain veneers or dental crowns aimed to improve the shape and colour of the teeth, but the amount of gum display and gingival symmetry are just as important. Plastic oral surgery may be used to enhance the appearance of the gums that, even in the absence of other cosmetic dental treatment, could restore balance and symmetry and improve the aesthetics with a smile makeover. Also known as a minor gum lift, when there is excessive gum tissue it can be recontoured with a gingivectomy in a dental makeover. This essentially involved removal of the access gingival tissue. This approach is useful where only minor corrections to the gums are required, and where the quality and health of the gums are favourable. A major gum lift involves the repositioning of the gum-line by recontouring the underlying bone support. It may be done for individual teeth, but more commonly it is used to reposition the level of the gums for an entire segment of teeth for those with a gummy smile. This treatment often requires repositioning of the tooth level as well, thus it needs to be combined with other cosmetic dentistry procedures to restore symmetry and balance. 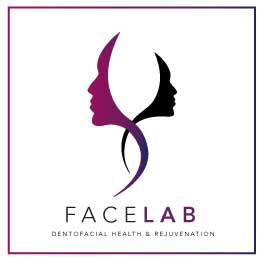 To find out more about dental treatments and smile makeovers by our experienced Cosmetic Dentists contact our Melbourne clinic today on (03) 8845 5400.